A large American Teak chest. 1950’s. Extremely high quality. 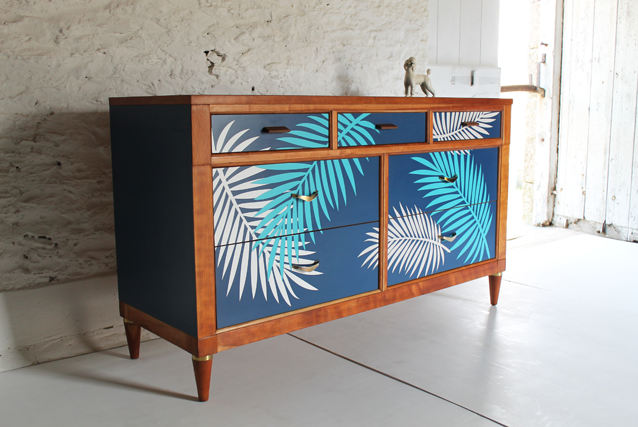 Marine blue formica top and sides with a carribean and white palm leaf multi inlay on the drawers. Teak and brass handles. Solid feet with a brass ring feature.